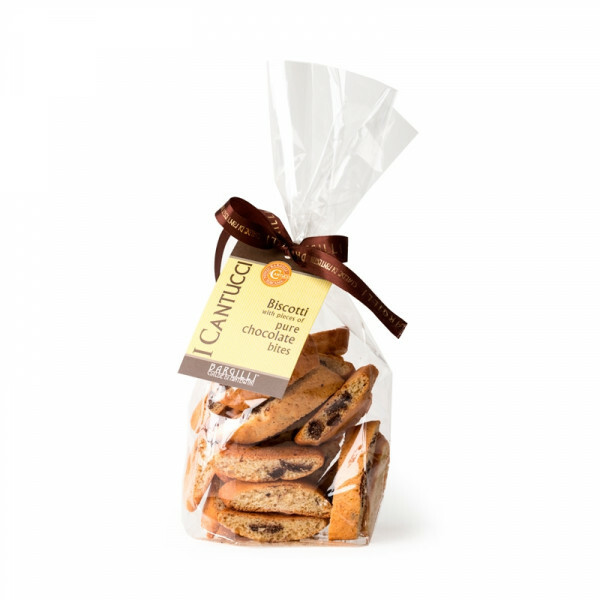 Traditional Tuscan Cantucci, with added king sized chunks of top quality Tuscan chocolate. Sweet and crunchy biscuits that are made even more irresistible thanks to the addition of quality Italian chocolate. Eat as a snack, on their own, dunked, or even with a dollop of cream. 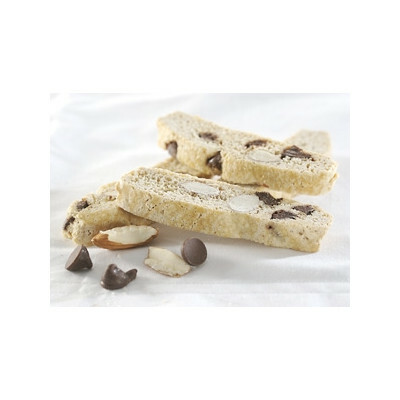 Or enjoy cantucci biscuits after a meal and dip them into sweet dessert wine Vin Santo. Or simply serve with a cup of coffee or tea. Wheat flour type 00, sugar, dark chocolate Amedei 15% (cacao paste, cane sugar, butter cocoa, vanilla. Cacao min. 70%), fresh tuscan eggs, italian butter, raising agent (soda bicarbonate, sodium acid pyrophosphate). GLUTEN, MILK, EGGS, NUTS. IT MAY CONTAIN TRACES OF OTHER NUTS. 12 months. Store in a cool, dry place. Do not refrigerate.